Enables advertisers to deliver more personalized and targeted offers based on customer location in store. The iBeacon integration into AdOns allows advertisers to run more targeted, contextual in-store ads. The future of shopping is being unlocked with new integration with POS systems and more context aware promotions and marketing. ShopSavvy, the world’s largest mobile shopping platform, today announced that its AdOns advertising network has been enhanced to support iBeacon integration. The upgrade allows ShopSavvy AdOns partners to run more targeted in-store contextual ads. Apple’s iBeacon technology uses Bluetooth and location-based services to ping nearby smart phones with advertisements, coupons, or messages. The technology is available on both the Apple, and Android operating system. "The future of shopping is being unlocked with new integration with POS systems and more context aware promotions and marketing,” said ShopSavvy CEO John Boyd. “We continue to bridge the gap between offline and online as local commerce is reborn into a totally new way for our customers to shop." The AdOns platform upgrade will allow ShopSavvy advertisers such as Best Buy, Gap, HP, Microsoft, and Dyson to run more creative in-store contextual ads. For example, if a consumer is shopping for a new laptop at an electronics store, iBeacon will recognize not only what store the customer is in, but also what section of the store the customer is browsing. Then, that retailer or a manufacturer of the product can send advertisements, discounts or competitive offers to the customer. 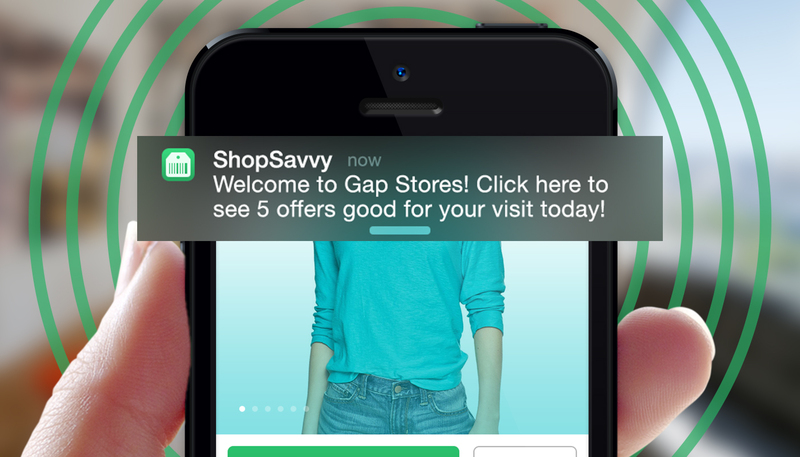 Hundreds of brands and retailers advertise though ShopSavvy’s AdOns Mobile Offer Platform today. 40 percent of the campaigns on ShopSavvy already have a location-based component targeting specific retail locations and specific product searches or categories. The addition of iBeacon integration will further enable companies to target shoppers with ads that are even more personalized, relevant and immediate to the customer’s interests. “ShopSavvy has been at the forefront of creating new conversations between location shoppers and retailers and we're looking forward to this next evolution in offers inside the local store,” added Boyd. The ShopSavvy AdOns platform has generated millions of dollars in mobile ad revenue in its first year. AdOns enabled the first mobile context aware campaigns including store traffic promotions, in-store product scavenger hunts and contests.